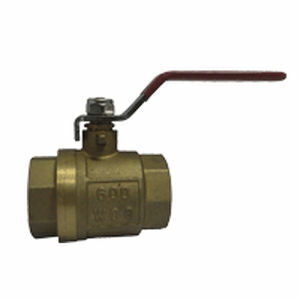 Ideal for general industrial and commercial use at the same time, this ball valve comes with an economical hand lever and you can adapt it to various applications. The manufacturer guarantees a long lasting service life for this item, especially because it has been designed using TFE. Safety in the event of overpressure is also provided, through the inclusion of a blowout-proof stem. Finally, the design included in this item allows a maximum Cv and a minimal pressure drop at the same time.